The Second grading for the year will be held at Rochfords Dojo by Sensei R.A.Bertie on Sunday 16th July from 10.00 am to 11.30 am. Please make sure your Licence is up to date and your record and grading book has been singed and passport photo inserted in the correct page. 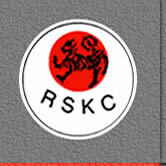 The first Black belt grading at Rochfords will take place at the Club on Sunday 26th November from 10.00 am to 11.30 am. Sensei R.A.Bertie will take the grading. 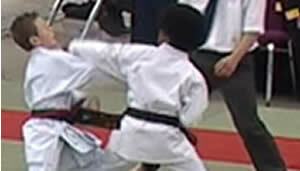 I hope all first Kyu's will use this time to get them selves in shape for the grading date. 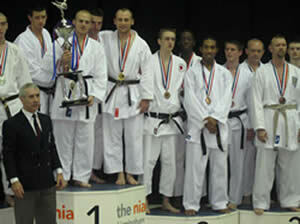 Rochfords Male Kumite team picked up the bronze medal at the National Championships. The Championships was held at the prestigious NIA in Birmingham on 21st May. The Team comprised of (in fighting order) Daniel Charles, Sheldon Morgan Richard Bertie and Paul Berry. Daniel continues to improve with every competition, unfortunately Dan sustained a bad ankle injury early on in the competition, which prevented him and the team from performing to their true potential. Sheldon was explosive, using his long ranging gyaku zuki (reverser punch) the distance Sheldon covers the speed of movement is incredible, just imagine how much faster and devastating he would be if he trained regularly! 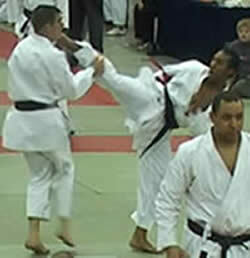 Richard made his intention clear from the first round scoring with a mawashi combo (round house kick). Richard has been working hard on his movement both offensive and defensive for months in the dojo, finally all the hard work Richard has put into his training is paying off. Richard was Seeded for the first time in his career this position comes with added pressure but handling pressure is the sign and making of a champion. Expectation from the rest of the club was high, we all hoped Richard would get to the finals. He did not disappoint Richard kept his nerve and brought home a much deserved Silver medal for Rochfords. Amongst the juniors who took part in the nationals Piers in the 10-11 year category was the most successful who came away with the silver medal, Callum and Karan both got through two rounds in their various events. Well done to the whole squad who represented Rochfords. The Club is back on track with the merit badge lesson. Well done to the following students for receiving an achievement award for their hard work over the past months and those who took part in the lesson and received their badges. Bronze medalists: Sheldon Morgan, Daniel Charles, Richard Bertie and Paul Berry.